Bangkok 54 is one of those best kept secrets of Arlington residents. This store front tucked away on Columbia Pike, has great Thai food with interesting twists. This is one of my favorite appetizer they offer. 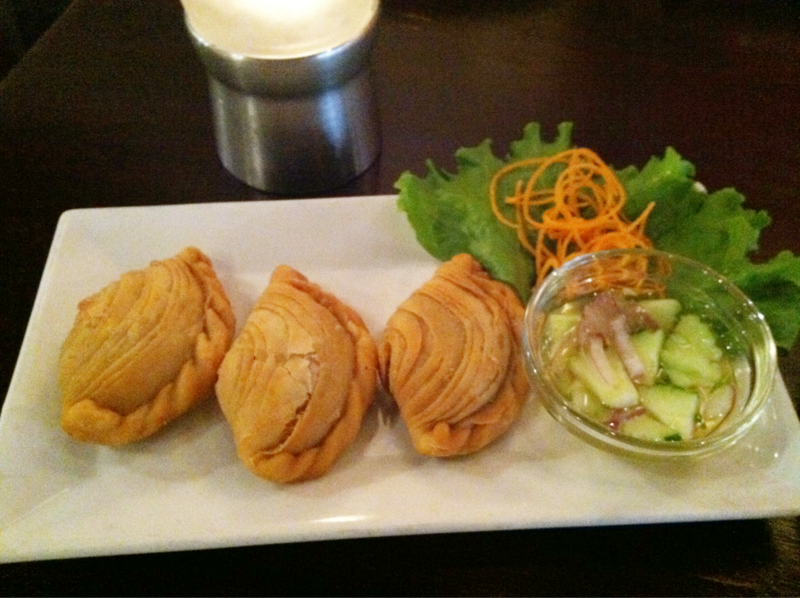 It is Thai Curry Puff. Stuffed with potatoes, it is seasoned with curry and asian herbs and covered with flaky puff pastry dough. It is complimented with a cucumber and red onion relish sauce.